I came across this monolithic slab of walnut half buried in the mud at a local mill. It was soaking wet, completely weathered, and had some bug issues. The slab was 7" thick, but I had to remove a full inch in order to clean it up and flatten it. 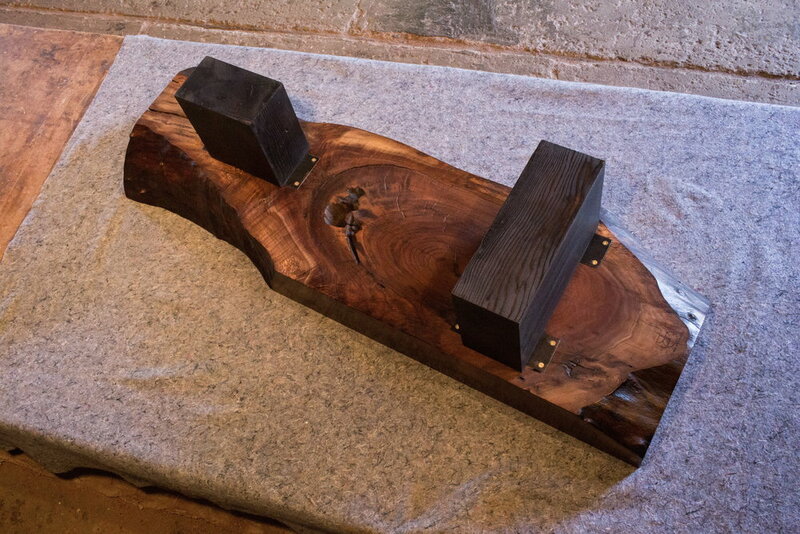 I used reclaimed douglas fir blocks for the base, and finished them with an ebonizing process. 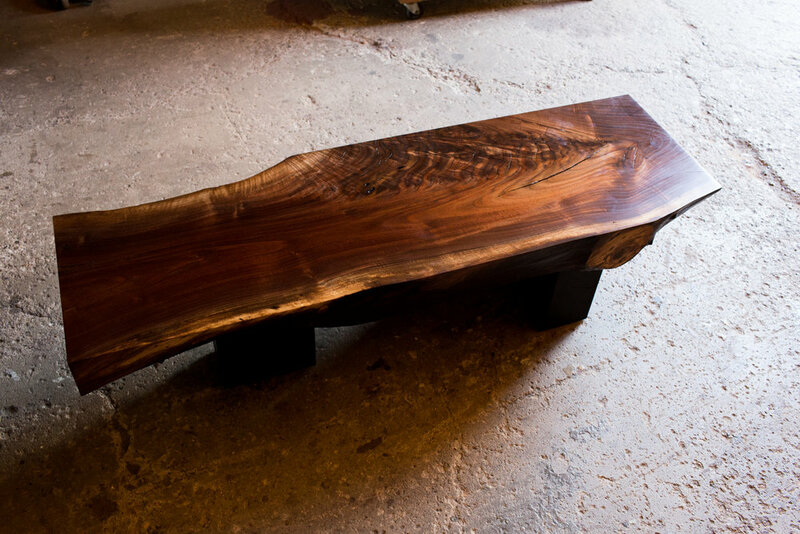 The coffee table finished out at 60" long, 18" wide, and 15" high.